Our butterfly earrings are part of our contemporary collection and are made exclusively by Love from Skye on the Isle of Skye. 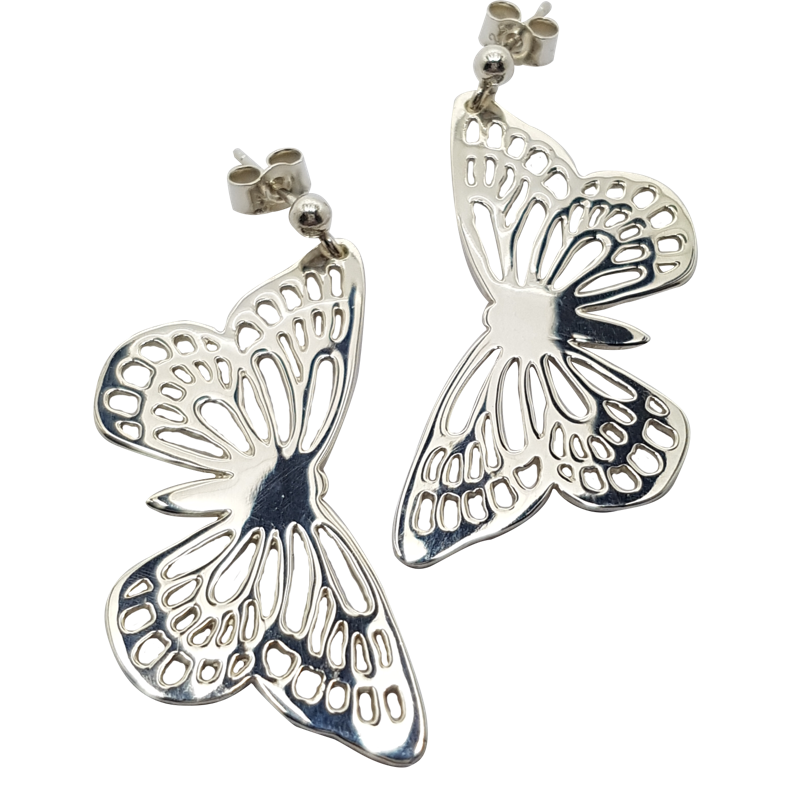 Our intricate cut-out butterflies are made from Sterling silver. The butterflies, measuring 38mm x 20mm, hang from one wing. Using the options above you can choose to have hook or post & butterfly fittings and for your butterfly design earrings to be finished with a polished-finish or a frosted / matte finish (please see Options and Finishes for an example of this finish). The earrings are sterling silver. They are about 4cm long by 2cm wide.